This is one of my favorite outfits to wear because I love the casual look of boyfriend jeans, yet the heels give it a little glam factor. In one of my classes last semester, my teacher had us go around the room and say a piece of clothing that best represents us. I chose boyfriend jeans paired with heels (I obvi chose two articles of clothing) because I enjoy dressing casual and being comfortable in what I wear, yet I will take any opportunity I can to throw on some heels to spruce up my outfit. I picked this adorable blue gingham top up from the J.Crew clearance store a couple months back. I don’t own any clothing in this color, so it was definitely a step out of my comfort zone at first. Now I am love with the color and basically live in this top. I have been searching for other clothing items with a similar color to them so people don’t assume I am homeless when I repeatedly wear this top. The heels are perfect for the summer time! I have already worn them so much and always get compliments when I wear them out. They definitely add a little edge to any outfit you choose to pair them with. These blog photos were taken in downtown Indy on Mass Ave. by my new photographer friend Liv Fisher (I’ll post her contact info below)! We had such a fun time exploring Indianapolis and I realized I need to get downtown more often! I grew up in Indiana, but rarely go downtown. It is such a beautiful city that is constantly growing and always has something to do. If you ever visit Indy and have time to explore, you need to go to Mass Ave! I love your gingham top! 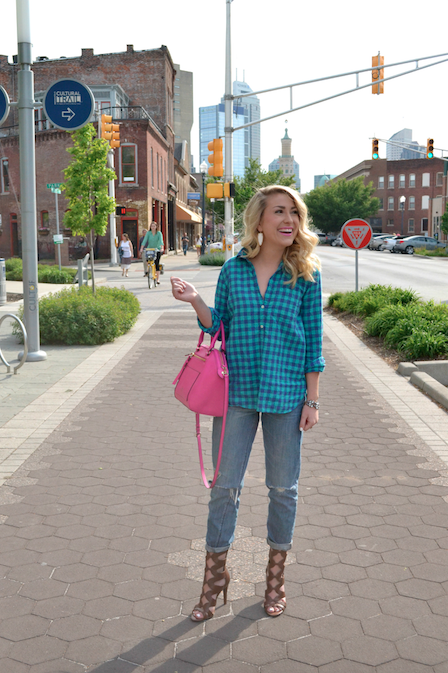 Go gingham is seriously one of my favorite trends right now!! Plus boyfriend jeans paired with heels are just the bomb! One of my favorite things to wear as well, plus it’s comfortable while being pulled together! Those shoes are fab! Those shoes are fabulous!! And I adore that bright pink bag! You look beautiful! I am loving this outfit from the top to the shoes!!! Love the top but those shoes are to die for! So chic! That gingham blouse is gorgeous. I love gingham! Perfect for summer (or anytime really!) Those shoes!!! Seriously fabulous. You look great! 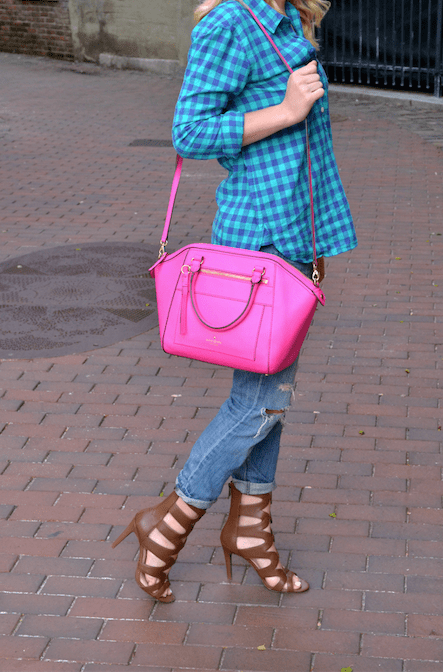 Love the colors in this gingham top! I love this look and those heels are amazing! You look gorgeous! I’m in love with this entire look and those shoes are AH-mazing! You look adorable…love the pop of pink as well! such a cute and casual outfit. LOVE! The pops of color in this look perfect on you! those. shoes. are. everying!!! i love how you paired the blue and pink! Hi Hannah! 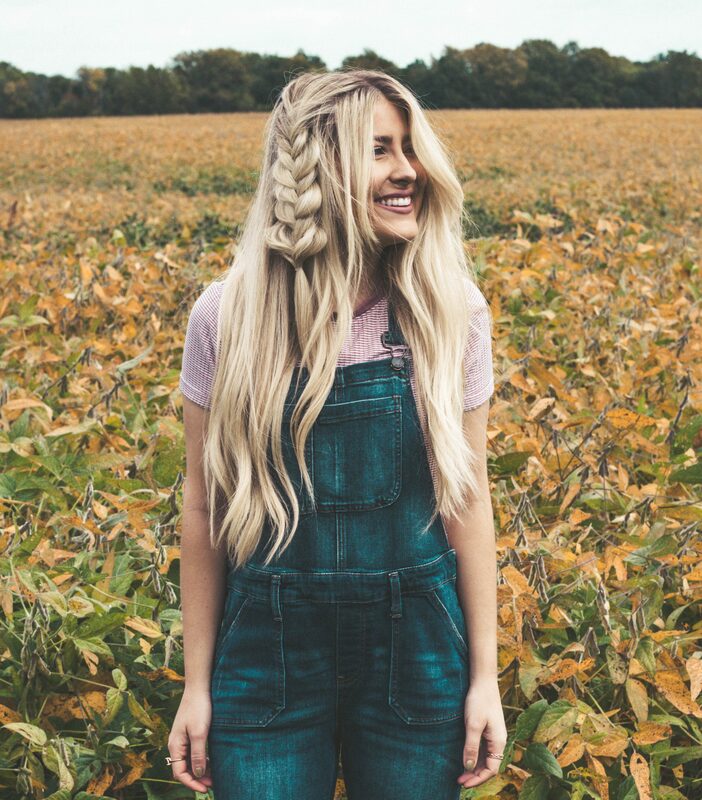 Just wanted to let you know how much I love your blog and the shoes you have on in this outfit are gorgeous! I and looking forward to seeing more of your posts and videos and also I nominated you for a Liebster Award, hopefully you will check out my post with questions as well as my answer so you can partake! Love your style!